Supported cards include the Corporate Green, Gold, Platinum, Centurion, Business Extra, and Defined Expense Program options, the company said. 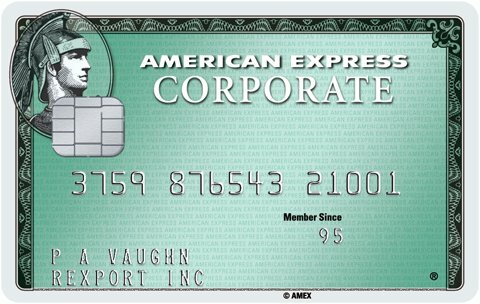 American Express' consumer cards have been ready for Apple Pay since the service's U.S. launch in October 2014, and more recently for the U.K. launch in July. Apple Pay is now supported by over 425 issuers in the U.S. alone. It remains to be seen where Apple will expand after the U.K., though rumors have pointed to Canada being a candidate come this November. Talks were underway earlier this year, although a report said that Canadian banks were not happy about proposed fee-sharing arrangements, or authentication problems witnessed south of the border. A greater issue has been merchant adoption. Although the number of retail partners is continuing to grow, there are still many major U.S. chains that don't take Apple Pay. Small business support has been weak, despite efforts to reach out to that segment. Apple may be hoping to revitalize support this fall, when Discover and store-branded cards will be added to the service, and retailers like Best Buy will come on board. The cost of buying a compatible device should come down as the launch of newer iPhones affects the prices of the iPhone 6 and 6 Plus.